Artists, Designers and Studios in the Ballina, Byron Bay, Tweed Valley, Upper Clarence - Northern Rivers of NSW and Gold Coast, QLD, Australia. Artists, Designers and Studios in the Ballina, Byron Bay, Tweed Valley, Northern Rivers of NSW and Gold Coast, QLD, Australia. Inspired by nature, a vibrant and expressive arts community thrives on the far north coast of NSW with artists, designers and crafts people supplying direct to the public from their workshops or studios. See also our personally curated picks from our "Art Shop"
Local tourist and pocket guides, as well as individual brochures can be obtained from tourist information centres. Look out for the Arts Trail Byron Bay brochure which showcases more than 20 designers and studios in the Byron Arts and Industry Estate, and the Tweed Art Trail brochure featuring local galleries, studios and public art locations, as well as local studios and artisans, where you can visit to see the artist at work, or to view and purchase works (maybe by appointment). Art classes and craft courses may also be available. Looking for a unique gift or souvenir? Want to update your art collection, home decor, wardrobe, or stationery? Then check out our carefully curated selection of art works from RedBubble artists. Don't forget to choose your preferred available product and size before adding to the cart. Disclosure: Please note that these are affiliate links and we get a commission if you make a purchase from clicking on our Art Shop links below. The links open in a new tab or window. Are you creative? Check out RedBubble, where you can exhibit and sell your art to the world - for FREE! Renowned Australian children's book illustrator and Kate Greenaway Medal winner Freya Blackwood created this joyous and dream-like scene for our 2017 Children's Book Council of Australia (CBCA) Children's Book Week theme 'Escape to Everywhere'. Perfect for a kids' bedroom, playroom or rumpus room. Available in a full range of products including Apparel, Wall art, Home decor, tote bag and Stationery. An attractive art deco design depicting a New England Airways Ltd Avro 10 flying past Mt Warning. A stylish and original gift or souvenir for visitors and locals. Available as Wall art, a throw pillow, tote bag and greeting card. Highly acclaimed and much-loved Australian children's author/illustrator Bob Graham created this delightful poster for the 1992 theme 'Windows into Worlds' to celebrate Children's Book Council of Australia (CBCA) Children's Book Week. Ideal for a rumpus room or kids' bedroom. Available in a full range of products including Apparel, Wall art, Home decor, tote bag, and Stationery. "Further up the trail from Bahnamboola Falls on the Coomera Circruit we found a short side to these falls. The track was quite overgrown with bushes and trees you had to slide past, until we came to an opening over rock with this gorgeous scene!" A less well known Gold Coast hinterland waterfall, this image is perfect as a feature piece, or as a wall art series. Available in Wall art, throw pillow, Tote bag and Stationery only. "One of the most beautiful and most visited lighthouses in Australia. It's well worth getting up early, and walking the hill to witness this wonderful sight! Byron Bay, New South Wales, Australia." Looking for an iconic and vivid Cape Byron Lighthouse image to decorate your Byron Bay abode, or adorn some serious swag? Available in a full range of products including Apparel, Cases & skins, Wall art, Home decor - including clock and travel mug, Bags, and Stationery. "This is a painting of the headland of Byron Bay with the lighthouse." 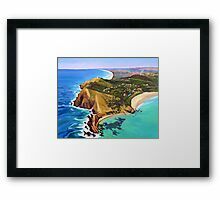 Looking for an original print of Cape Byron to decorate your walls? The link goes to this art product as a Medium (38cm x 30cm) print in a flat black frame with a bright white matte. You can change these options. "Fingal Head on New South Wales north coast, facing towards Cook Island and overlooking The Giants Causeway." An iconic photo showing the Giant's Causeway in the foreground and Cook Island in the distance. With its warm sunrise sky hues, it would make a perfect feature piece, or as a wall art series with Sandra Anderson's "Fingal Beach", and Soren Martensen's "Fingal Heads Driftwood", below. Available in Laptop cases, Wall art, Bags and greeting card only. A dramatic sky, yet a vibrant and light image, with the distant Cook Island bathed in sunlight, and subtle elements which will draw viewers in closer to enjoy the art work. Suitable in all sizes for wall art, in a collection, and as a feature focal image in bedrooms and shared entertaining areas. An interesting image if you're looking for one that's identifiable as "Tweed Coast", but isn't the usual headland or beach view. Available in Cases & skins, Wall art, Home decor, Bags, and Greeting card only. Black and White landscape image of the iconic landmark "The Spit", on the Gold Coast. Ideal as part of a group collection, or as a focal point in a monochromatic room. "Piece of driftwood found on the beach overlooking Cook Island on the East Coast of Australia." The dramatic sky seemingly engulfing Cook Island in the distance, with the driftwood focal point, makes this ideal in small or medium size, as part of a group collection, or as a feature object in an entertaining area, along a hall way, or in a guest bedroom. Available as Wall art, Mini skirt, Throw pillow, tote bag and Greeting card only. "Gold Coast Broadwater, Queensland, Australia." Is it a photo or a painting? Nautical theme and Gold Coast skyline, in subtle hues. Perfect as a large or extra large feature wall art piece in the main entertaining area. It's the Gold Coast, but not as you usually see it. "Growing in the dense rainforest at Natural Arch in the Gold Coast Hinterland." Perfect as feature wall art in a property with light or darker wall tones, a heritage themed or property in a rainforest location. Available as Wall art and Greetings cards only. Sunrise Coast n Country art and product shop. If you like the images you see here on the Big Volcano web site, please check out our shop on Redbubble. There you'll find some of the images we use, along with more local images, ranging from botanical studies through to landscapes, seascapes and more. They're available as wall art, t-shirts, womens apparel, phone skins and laptop cases, stationery, bags and more! Inspired by nature, a vibrant and expressive arts community thrives on the far north coast of NSW with artists, designers and crafts people supplying direct to the public from their workshops or studios. Artists, Designers and Studios in the Ballina, Byron Bay, Tweed Valley, Northern Rivers of NSW and Gold Coast, QLD, Australia. Liz Challis Art Highly original collages incorporating the use of antique French lace, vintage fabrics, ribbons, feathers, and more. Soft pastel acrylics, vibrant abstracts in acrylic, and organic watercolours. 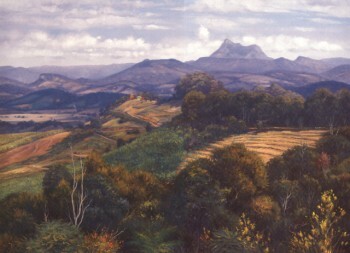 Her work is represented in collections in Australia, France, England and Scotland. Visit to learn more and view current works for sale. The Cultural Centre has a museum and a shop offering aboriginal art, crafts and souvenirs. The shop and museum are open Monday to Friday, 9am-3pm. Shop entry free, Museum entry $15 per adult, and $7.50 concession and children. Attention artists and craftspeople. Your customers and clients are looking for you here. Just 3 places available. about our "Creative Special" (less than 74 cents per day), and put your name in front of the many visitors to this directory who are looking for arts and crafts. Or ask about our multiple links package.